Cardoons, swiss chard, eggplants, zucchini, asparagus, and other vegetables, whether cooked alone or as part of a more elaborate presentation, are typically served as a first course in Spain, rather than as an accompaniment to a main course (a main-course accompaniment is usually roasted or fried potatoes, potato purée, or white rice). 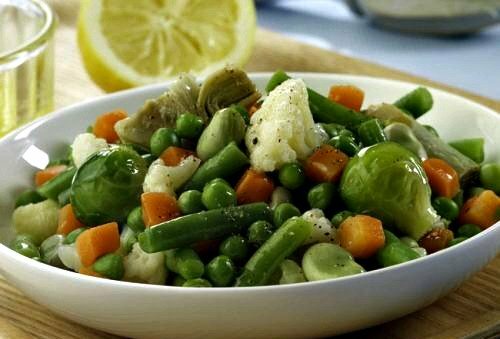 Since some of these vegetables dishes, such as the mixed-vegetable menestra de verduras from Navarra, require a lengthy preparation - often far longer than grilled meats or fish - it's fitting that they receive special attention at the table. However, many of these first courses could indeed make wonderful accompaniments in the American sense. For example, in Spain, the classic La Mancha stew, a simple blend of tomatoes and peppers, is often served with fried or scrambled eggs as a first course for lunch or dinner, but it would go well with grilled fish or meat as a side dish, too. And the versatility of these dishes, despite their prescribed place on the Spanish menu, does not end there. Most of these first courses can be served as main courses by simply increasing the portion size. Escalivada: Catalonians eat this dish as a first course or as an accompaniment to meats. The special characteristic of these roasted vegetables is their smoky flavor, since orthodoxy demands roasting them over embers (the Catalan word escalivar means 'to roast over ashes or embers'). 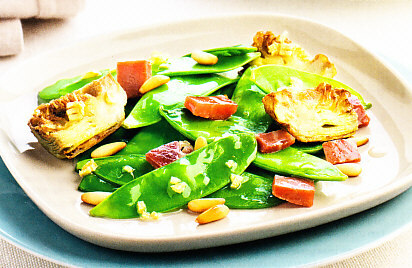 Alcachofas con tirabeques: Tirabeques, or snow peas, are common in vegetable gardens of Murcia, Here, they are combined with tender artichoke hearts to create a starter favoured by local chefs. 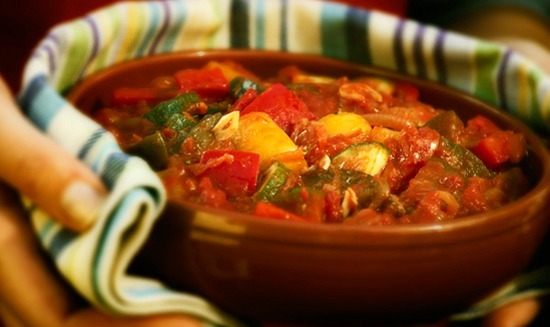 Zarangollo, a simple dish, which combines the ubiquitous zucchini of Murcia with onions, is a favorite of Murcian cooks, who prepare it both with and without eggs. 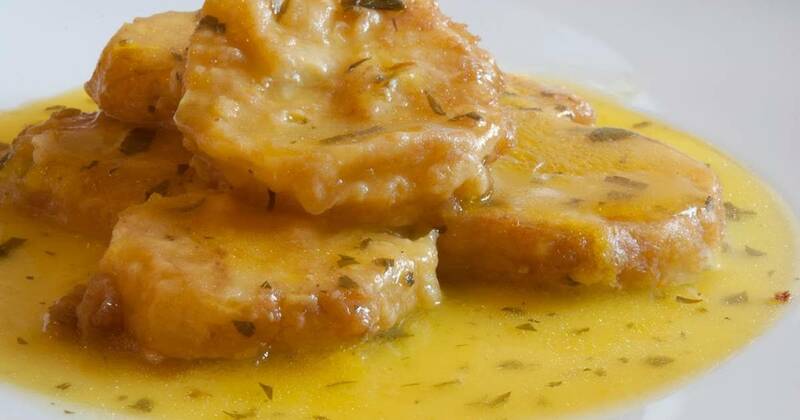 Menestra de verduras: Menestra is one of the irreplaceable dishes of Navarra cuisine. Menestra can be served as a side dish to fish or meat, or as a main course in its own. Sautéed Swiss Chard with Raisins and Pine Nuts: In Catalonia, this is an everyday first course, with spinach sometimes standing in for the Swiss chard. Cooks in the Balearic Islands combine these same ingredients to make the filling for cocarrois, their traditional vegetable turnovers. Sauteed Piquillo peppers: Piquillo peppers require little extra work because they are already roasted and bursting with flavor straight out of the jar. I often serve them as a side dish with meats, sautéing them in olive oil, garlic, and a little milk. 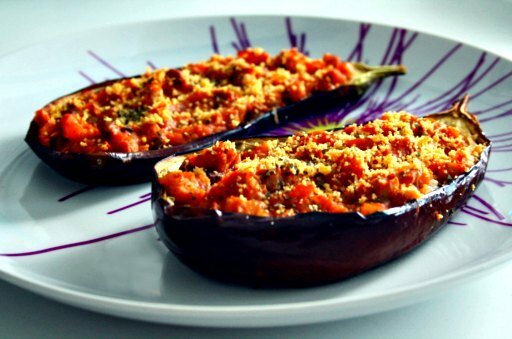 Stuffed eggplants: The eggplants grown on Majorca are smaller than those from the mainland and are particularly purple, lighter than the eggplants commonly seen in the United States. I typically serve one whole eggplant to each guest for a first course, though occasionally I double the amount because the eggplants are so delicious. They also taste wonderful reheated the following day. Patatas a la Importancia: The potatoes in this dish gain “importance” when fried in a simple batter of flour and egg. The dish used to be common in many homes, especially in Madrid, and although many younger families have forgotten about it, patatas a la importancia is still a classic among the older crowd. It is a wonderful appetizer, but it can also be served as a small meal, especially for children. Although you can fry the potatoes, arrange them on a platter, top them with the hot sauce, and serve them right away, they taste a bit better if you heat the fried potatoes and the sauce together on the stove top or in the oven.